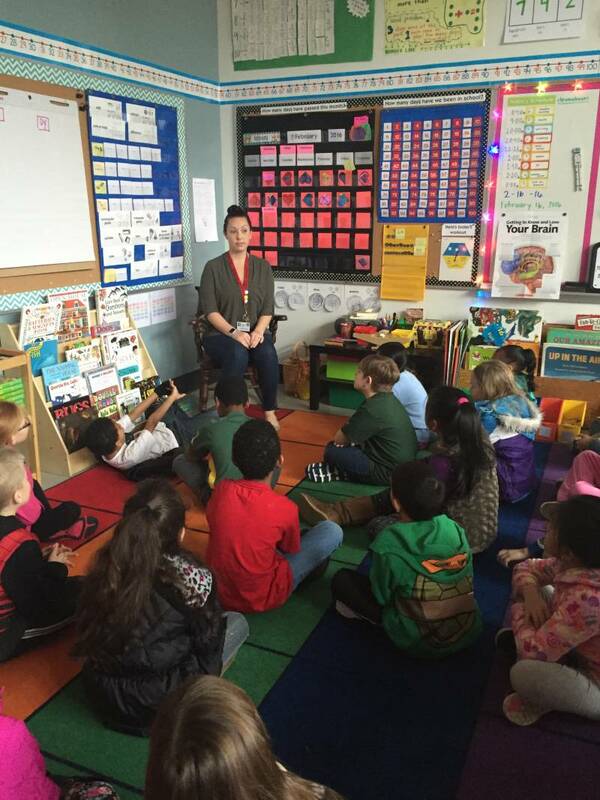 NESCA News & Notes: What Changes When a School Embraces Mindfulness? "We’ve seen this huge shift in the overall tone and civility of the school culture." It was lunch time at Marysville School in Southeast Portland when the fire broke out. Teachers quickly herded their students out of the building to the sports field behind the school as the old colonial-style building burned. The fire that traumatized students and staff alike was in 2009, when Lana Penley was in her second year as principal. The 460 students and 50 staff members of the K-8 school relocated to a vacant school building in another part of Portland, displaced from their school site for three years as the district rebuilt the Marysville building. “We were already a school that struggled, and then adding [the fire] on top of it, we really thought we needed to find a social and emotional curriculum that connects to the heart to overcome our trauma,” Penley explained. When the school reopened, Penley and her staff started using the MindUP curriculum, developed by the Hawn Foundation (founded by the actress Goldie Hawn), to try to address underlying trauma both from the fire and from the daily poverty that many students face. At first they implemented the program using a counselor, rotating between classes, teaching the 15-lesson sequence that starts with explaining to students how their brains work and what’s happening when they are stressed, scared or angry. The program then moves into mindful breathing exercises, meant to help students feel present in their bodies. There’s a section on choosing to approach the world with optimism and discussions of mindfulness in all the senses: seeing, listening and eating. Towards the end of the sequence the lessons expand outward, asking students how they can contribute to the community, how they can be better citizens. Students practice doing random acts of kindness and reflect on how that makes them feel. Gratitude becomes a daily practice. The program is a blend of neuroscience, social and emotional tenets like empathy and perspective taking, and mindfulness, a practice which many schools have already started exploring. 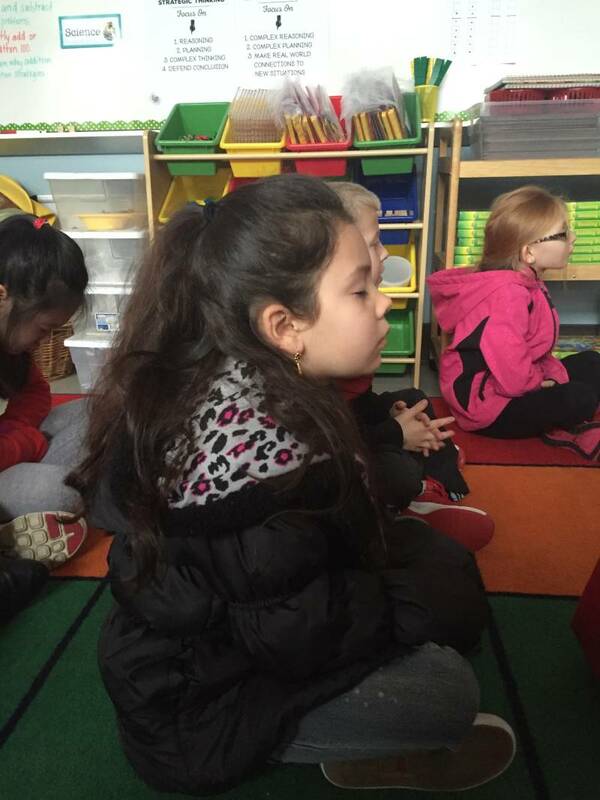 Several programs teach mindfulness in schools, including Mindful Schools. After implementing the MindUP program at Marysville, Penley saw the difference. “We’ve seen this huge shift in the overall tone and civility of the school culture,” she said. Penley and her staff soon realized that when the counselor taught the class, students were getting the benefit, but teachers weren’t. Soon teachers started coming to Penley, asking to teach the class themselves, as part of their regular classes. “After our first year we began to think about how we could bring this to the overall health of the school,” Penley said. As a staff they decided to teach the MindUP lessons concurrently, at the same time every week, so there would be a sense of synergy. Penley says the real shifts in school culture came when they started implementing the program school-wide. Teachers now start class in the morning with a few breaths to help students feel present. The middle school has breathing exercises after passing periods. Penley described how kindergarteners used to come into their classroom for free breakfast while their teacher was already directing them to look at what she’d written on the board. Students were having a hard time learning that way because they didn’t feel settled or safe. Now, teachers greet kids at the door and play soft music with the lights down; they talk about the practices the whole school is working on at that moment. In this low key environment, the teacher is taking roll and checking in on students. Gradually the practices in the MindUP program became part of how the school operates. “These are the ways we treat each other and that happens all the time throughout the day,” Penley said. The switch to thinking about every interaction and learning moment in the school day as one of mindfulness has dramatically changed the tone of the school, according to Penley. She says discipline referrals have dropped and students are using their mindful seeing practice in classes like English, art and science to make better observations. An eighth grader recently noted that he’d been watching the presidential debates and that the candidates weren’t doing a good job of listening to one another’s perspectives. And this more human approach hasn’t stopped at the classroom door. Teachers get a “brain break” at the start of staff meetings in recognition that they’re coming from a hectic teaching day and need a moment to ground themselves in the present before starting another task. The staff also practice whatever skill they’ll be teaching through MindUP with one another before rolling it out into the classroom. “Our teachers are happier, which is really important, and we have a ton of people applying to our school now because they’re interested in mindfulness,” Penley said. Before they started the MindUP program, Marysville, like many other Title 1 schools serving a diverse population of learners, struggled to attract teachers. Now, Penley said she has 100 applicants for every open position, which also allows her to hire teachers who are in line with their vision. On a teacher survey administered in the 2013-2014 school year 95 percent of the adults in the building said they were satisfied or extremely satisfied working at Marysville. And all of the adults reported that teaching MindUP has carried over into their personal lives and extends into the classroom throughout content areas. Despite the success of the program, it hasn’t been all smooth sailing. Some teachers initially pushed back with the inevitable “initiative fatigue” that plagues many schools. But Penley said she kept them engaged in conversations about what made them uncomfortable and how they could work through those issues. “Once you are on the ground and realize that what it’s teaching are just basic human practices, we’ve seen that even our most resistant teachers have come a long way with it,” Penley said. Penley said the program has also helped her personally. “It’s helped me find the joy in my job,” she said. “Being a principal is a really hard job. A lot of principals don’t like their jobs.” She’s learned to be more present in each meeting and to think of her main job as being a listener. She used to rush about trying to solve every problem, but now she tries to stay focused and present in each moment, giving her staff her full attention. It’s helped her remember why she loves education and being around kids. University of British Columbia professor Kimberly Schonert-Reichl, who was one of several researchers consulted on the development of MindUP, conducted a randomized controlled trial on fourth and fifth graders participating in the program in Vancouver public schools. Students reported many positive benefits of the program: 82 percent of children reported having a more positive outlook, 81 percent learned to make themselves happy, and 58 percent of children tried to help others more often. Schonert-Reichl also tested children’s saliva for cortisol levels and found those who participated in the program had healthier levels. Peers also rated students in the program as more prosocial. Schonert-Reichl says teachers in British Columbia were involved in developing the curriculum based on evidence-based neuroscience and psychology principles, which helped ensure the lessons were hitting home for educators. “When the MindUP program was developed it was an iterative process between researchers and teachers,” Schonert-Reichl said. Teachers would teach a lesson, give feedback and help the researchers improve on the program. The program also came out in 2005, just after British Columbia had included social and emotional learning as a part of the curriculum. Schonert-Reichl said the high level recognition that these skills are valuable made it much easier for schools to get access to training money and to implement with fidelity. In Vancouver there is a district-level person who coordinates trainings and materials, supports teachers in classrooms, and connects them to one another. “Instead of it just being this outside person who drops in and does the professional development and leaves with no follow-up, you have this core district support,” Schonert-Reichl said. Jonathan Weresch became a MindUP trainer after seeing the results in his own classroom. He taught students with learning differences and disordered behaviors, who were especially hard to teach after lunch. Weresch said it took about six weeks for his students to get on board with the program and there were plenty of times they tested his patience as they got used to it. In the beginning when he’d ask them to focus their attention on their breathing with their eyes closed there would be a lot of silly noises. But he modeled patience and continued to teach them about what these exercises were doing for the brain, and in time students stopped joking around. Although he’s a principal now, he still does MindUP trainings on the side because he believes in it. As a trainer, Weresch answers a lot of questions from teachers who are either having problems getting results or who don’t see how three minutes of focused breathing three times a day can make such a big difference. Weresch explains that it’s like any other skill. The most common complaint he hears from teachers (who are choosing MindUP as their professional development) is that they don’t have time for an extra program, the curriculum is already too big and hard to cover. Weresch sympathizes with that argument, but tells them that in his own experience the time spent on the front end tremendously improved the quality of learning throughout the day. He also points to research indicating that social and emotional learning improves academic achievement.